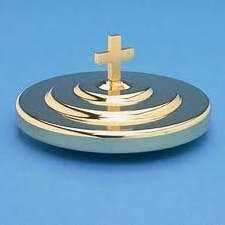 This single pass brasstone Communion tray has both elements easy available. 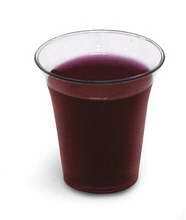 The juice cups, holds 32 cups, surrounds the bread in the center. 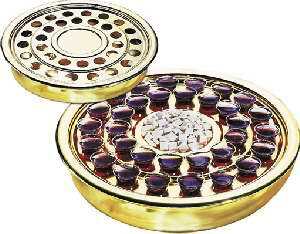 Description: Single pass communion tray with both elements. Brasstone only. 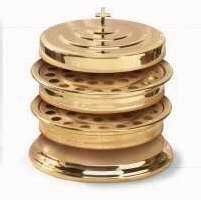 This unit is stackable, and stacks with Artistic’s existing trays. 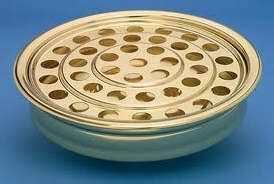 Bread plate is approximately 1/4″ deep and weighs 2 lbs. Serves 32. Insert not sold separately.